TheCoplandRoad.org: The Return of Sporting Integrity?  The Return of Sporting Integrity? The crisis that surrounded Rangers Football Club and the financial mismanagement it suffered at the hands of David Murray and Craig Whyte did very little to ailing image and reputation of Scottish football. There was a huge furore surrounding the unfolding tale with extreme levels of moral outrage over the non-payment of taxes in various forms and this was not ignored by the football authorities. Let’s have a quick recap of what went on, shall we? Stewart Regan, the SFA Chief Executive, stated that the governing body would apply the rules without fear or favour and proceeded to hammer Rangers with a couple of fines and a transfer ban for deliberate non-payment of PAYE and VAT. This of course was despite the Independent Tribunal acknowledging that Craig Whyte was wholly to blame for such a decision but instead they chose to hide behind a legal precedent which held no real relevance to the world of football. The Scottish Football Association were however reluctant to accept legality, or lack thereof, of the registration embargo that they decided to impose and continued to blackmail Rangers into accepting it as a condition of its membership application earlier this season. Better minds than my own have questioned the legal status of such an ‘agreement’ and the beaks at Hampden had better hope that Charles Green and his lawyers decide to draw a line under the incident and move on. STV reported this afternoon that Heart of Midlothian FC faces yet another winding up order from HM Revenue & Customs relating to unpaid tax. This £450k sum is apparently separate from the existing liability of £1.75M which relates to players who were loaned to the club by FBK Kaunas, also owned by Romanov. So not only have Hearts struggled to pay their staff on time, they have failed to pass on the required tax to HMRC. Whatever way you spin it, things aren’t looking good. The club has recently announced that it will be selling 10% of the company to the supporters for a total sum of £1.79M, if the share-issue is successful that is. Hearts’ legend John Robertson was in the media today and the message was pretty clear: buy the shares or you may not have a club to support come the end of the season. A statement issued this evening also highlights the danger the club is currently in by stating that, without input from the fans, next Saturday may well be the last game played by Hearts. I guess it is very much over to the Jambos to dig deep and save their club as Romanov’s interest and input now seems to be almost non-existent. I do have some sympathy for the decent Hearts’ supporters however, as a collective, these fans were not slow to stick the boot into Rangers when we were on our knees. Many Rangers fans will certainly find it very difficult not to raise a sly smirk at reading about the troubles at Tynecastle. I suppose you could call it karma. Anyway, back to the football authorities and their role in all of this. You will remember Stewart Regan’s ‘without fear or favour’ line from earlier this year and earlier in this article. Now is the chance for him to prove it. If Hearts have indeed been guilty of withholding sums due to the tax authorities and have been essentially trading while insolvent then surely the appropriate will be taken to uphold the highly publicised notion of sporting integrity? It’s very important to them apparently. I’m sure we will soon be reading about a full investigation into the actions of Heart of Midlothian FC and their struggling finances if they fail to come to an agreement with the taxman. I’m sure other clubs and their fans will rant and rave about the unfair sporting advantages they have achieved by running up debts and not paying the tax authorities. Perhaps they will seek the removal of the Scottish Cup victories? I’m also sure we’ll see them heavily fined and placed under a lengthy transfer embargo. Then again, maybe not. Well, not unless they change their name to Rangers. This is a big test for Stewart Regan and the rest of the Scottish Football Association. Last season they took the stance that such actions will not be tolerated and they were backed by many clubs and the vast majority of supporters. Failure to take action against Hearts will surely be yet another unacceptable example of double standards that our game cannot afford. In all honesty, it is tragic that Regan is still in a job after stumbling from one calamity to the next throughout his tenure thus far. Some of you may remember the Independent Panel’s comments that ‘only match-fixing in its various forms might be a more serious breach’ when Rangers were found guilty of non-payment of PAYE. If that is the view of the football authorities then Hearts had better brace themselves for some heavy sanctions. I however won’t be holding my breath. The governing bodies have already fudged a decision in relation to Hearts and their failure to pay their staff on time, something we have witnessed at least twice already this season. They were given a meaningless transfer ban which ends before the window opens on 1st January 2013 and their only real punishment was the inability to sign Rudi Skacel who they really couldn't afford anyway if we are being honest. Surely the SFA won't bottle it from yet another decision? Over to you, Mr Regan.  Sporting Integrity is at stake here. Time to Forgive and Forget? In Neil Doncaster's SPL, League Expands You!